Colgate Share Price Forecast – Why Brokers Are Bullish? 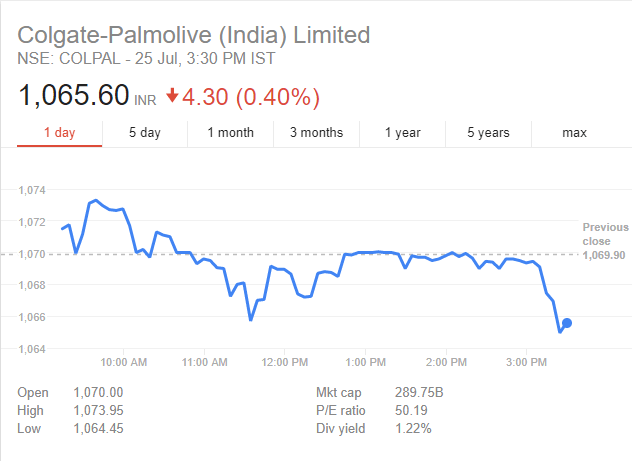 Very recently I have seen few big broking houses are super bullish on Colgate Palmolive share price. Many of them believe that COLPAL share will zoom soon. So, in this post let’s analyse the Colgate share price forecast and let’s check the pros and cons of investing in the company at the current price levels. Those who have invested in our last pick Jubilant Foodworks are already gaining more than 2% in single day. Engages in oral and personal care as the core business. Market value of Colgate Palmolive India is US$ 4 billions, much bigger than Dabur India or Hindustan Unilever. As per the last data Colgate had 1959 employees in India ahead of again Emami and Dabur. The company has a very strong last 10 years financial data to back up its investors. The above image shows the financial data of the company. The company currently has almost zero debt that is very good for investors. It also has a very good dividend paying history, out of which the last dividend payment was 57.6%. What are the broker’s views on the Colgate share price forecast? We have seen 2 brokers are heavily bullish on Colgate Palmolive share price. But before we enter the broker’s analysis lets check the weekly chart of the company. Angel Broking has recommended a BUY on COLPAL at current levels. They have not mentioned any stop loss or target. So investors can buy this stock and hold for the medium term. Read the full report of Angel Broking by downloading it from below. You can unlock your download link by using any of the share buttons below. 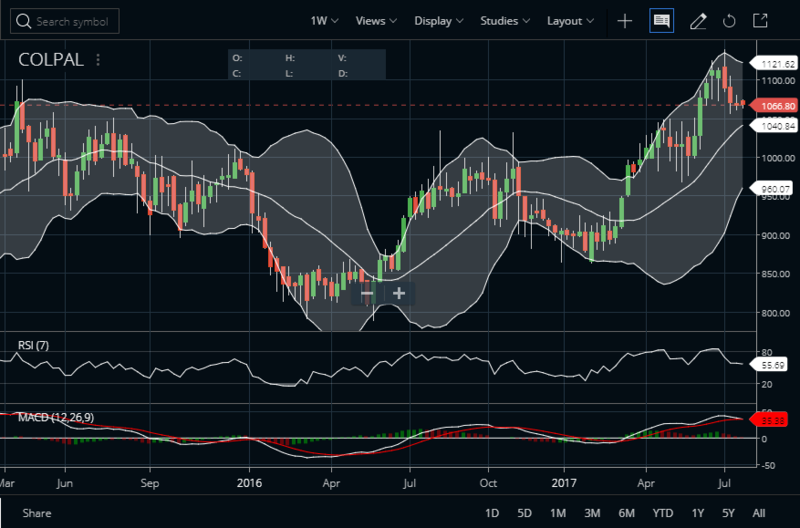 This scrip is also on the radar of Religare and in their Colgate share price forecast, they have recommended a BUY with a protective stop below 1035 for a short term target of 1130.